We aspire to take journeys abroad and often miss the god in small things - we often overlook the beauty that lies around us. ‘Beautiful things don’t ask for attention’ - and Northeast India, camouflaged in India’s rightmost corner is one of them. India is proud to call Northeast as its Right Hand. 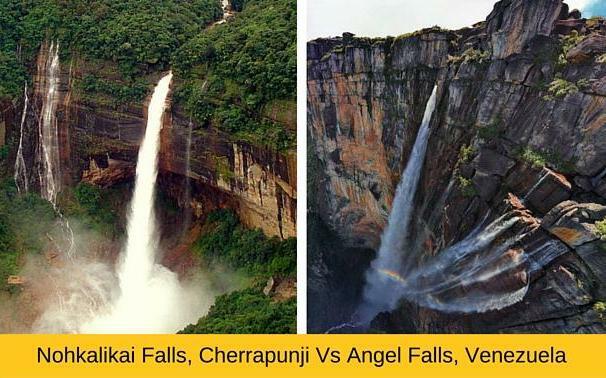 These photos prove that Northeast India has a striking resemblance with international destinations. 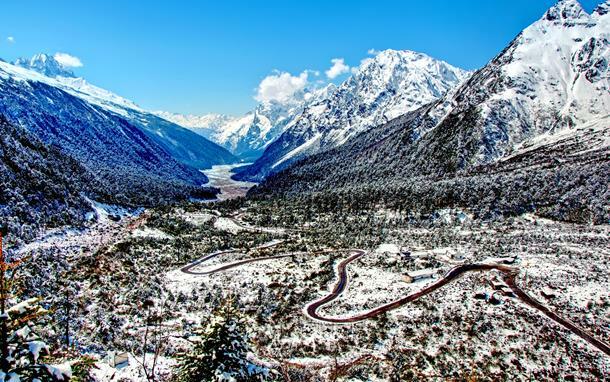 Northeast tour packages will open up your eyes to its secretly hidden beauty and debunk all the stereotypes you've had about India. You don’t have to visit China, Bali or Vietnam to see this beautiful panorama highlighted by the dance of paddy. 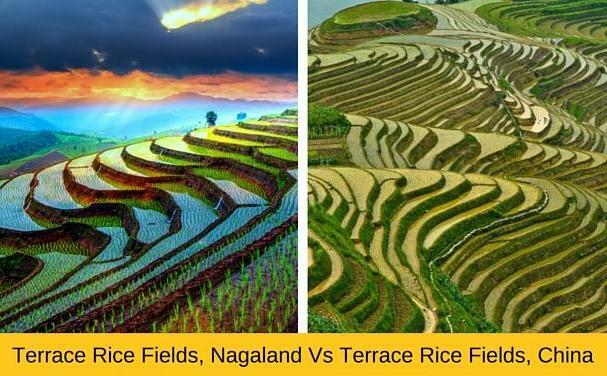 A verdant green paradise, hidden 21kms away from Nagaland’s capital is home to a surreal staircase of rice fields. 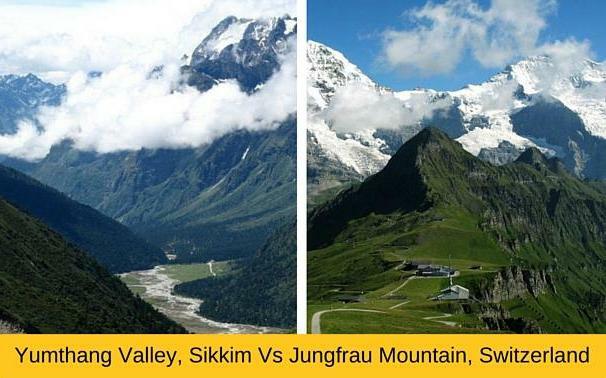 The beautifully terraced landscape is so breathtaking that it captivates your heart instantly. The montane grasslands of Colorado are blessed with an abundant blossom of asters, but if you visit the Dzukou valley, you will see the moorland covered up in a colourful drape of flowers. 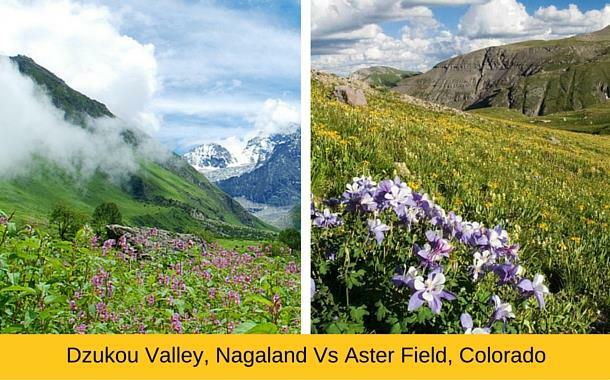 While Uttarakhand’s Valley of Flowers may be more famous, but Dzukou valley is a stunningly less crowded alternative to it. 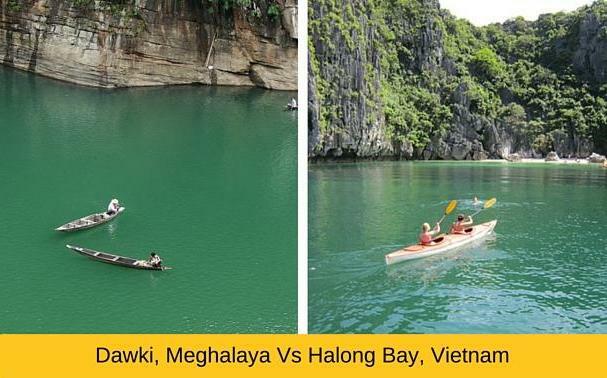 Lying on the border of Bangladesh, Dawki is a hidden paradise that is home to a horde of adventure activities. From camping, scuba diving, kayaking, river rafting, cliff jumping and rappelling, there’s everything to please your soul with an intoxicating dose of adventure. Even if you do nothing and just relax, the beautiful scenery will immediately bring peace in your life. This bet is much economical than Vietnam. A deep, dense forest that receives the highest rainfall in the world is as picturesque and veridical as the rainforests of Amazon. 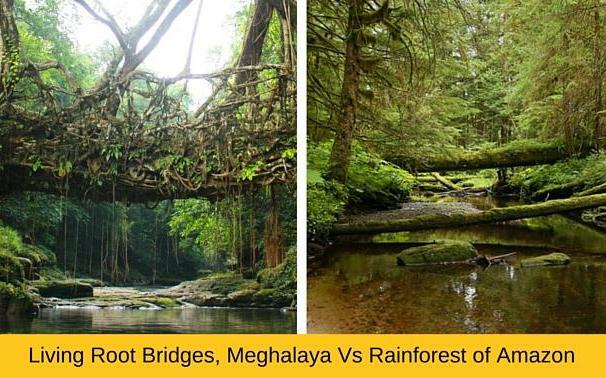 But nothing can beat the Living Root Bridges in Meghalaya that are handmade by the local Khasi community from the aerial roots of banyan and rubber trees. Spanning over 100 years, these roots have developed a naturally self-renewing and self-strengthening technique. A beautiful bed of red rhododendrons blanket the rolling plains of Sikkim and the mountains are crowned with a golden summer sunshine. The cattle come out to graze 14,000 feet above the sea level and the setting of beautiful mountains iced with snow is very reminiscent of Switzerland. High up in the mountainous folds of Himalayas, environed by the emeralds of Mother Nature, lies a monastic abode home to almost 450 monks. 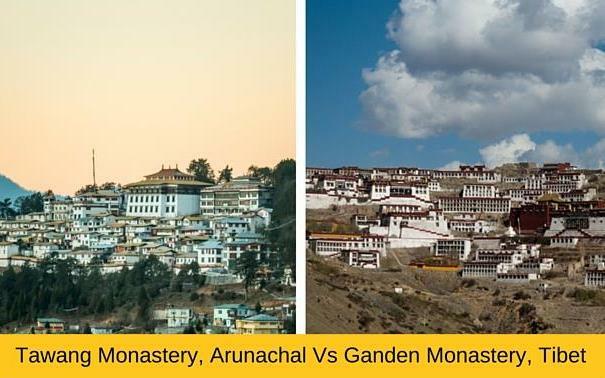 Towering 10,000 feet above ground, Tawang Monastery is the largest monastery in India. It is also home to some ancient scriptures of Buddhism, particularly the Kangyur scriptures, which are almost 400 year old. It can give any monastery in Bhutan a run for its money! 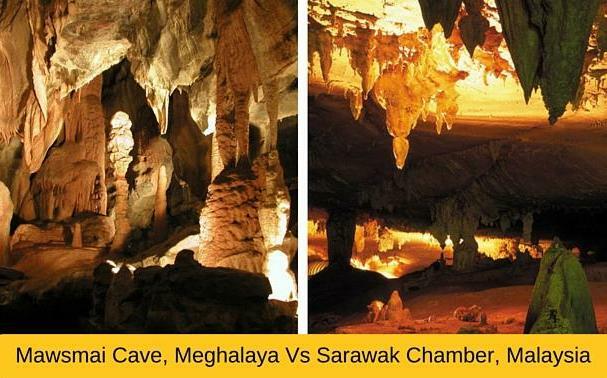 Nestled in the quaint village of Mawsmai, this cave is one of Meghalaya’s largest caves. It is a deep limestone cave and exploring the cave is like unveiling the ‘Chamber of Secrets’, if you know what I mean. 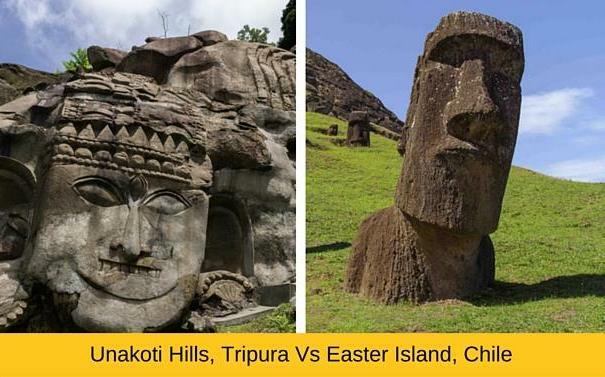 If you’ve always fancied the eerie looking rock monuments at the Easter Island, but can’t really afford an air ticket to Chile, you can look at heading to the Unakoti hills of Tripura to view similar rock-cut sculptures. Images of Lord Shiva, Ganesha, Maa Durga standing on a lion, and a Nandi are sculpted out here. 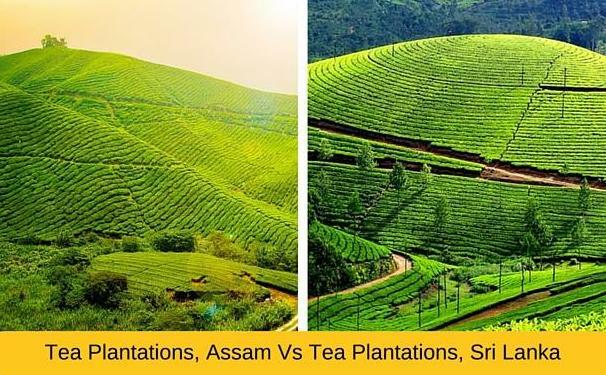 The sprawling tea gardens of Nuwara Eliya are sold as hot cakes in Sri Lanka tour packages, but why go that far when the tea gardens of Assam churn out the best tea in the world!